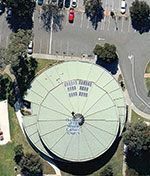 The community at Saint Mary Coptic Church in Calamvale, Brisbane, decided to reduce the carbon footprint associated with its energy consumption. Regenpower conducted an energy assessment and recommended the installation of a photovoltaic system to generate electricity to offset the cost of its electricity usage (approx. $10,000 per year) and to export excess energy to the grid. 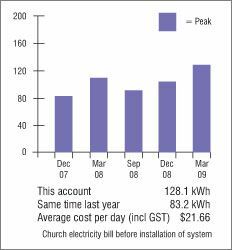 A photovoltaic (PV) solar electric system was designed and installed on the roof of the church in September 2010. The system comprised 60 PV modules, 180W CEEG solar panels. A 3-phase CMS inverter rated 11kW was installed for optimal current output. The system installation was carried out by Regen's installation partner, Acsel Pty Ltd, in 3 days. The PV system was commissioned and tested on 23rd September. The system was featured on Channel 10 News on Wednesday 10th October 2010. 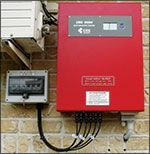 The system is ideally suited to any complex requiring at least 10kW power as schools, community halls, shopping centres, large residential etc. Federal and State policies support the installations of PV systems. It is up to all of us to take advantage of these incentives, reduce our carbon emissions and feel good about what we are doing. Roman Catholic Church, Morley, WA. 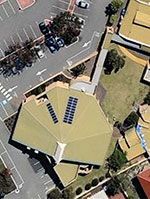 The church community preferred to have PV module installed in the shape of a cross. 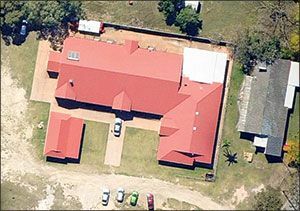 Two systems of 5 KW each are operational in the church premises. 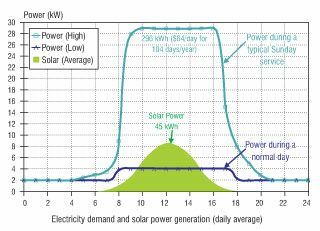 Each system has 22 solar panels with each panel producing 235 W.The system was installed by the Regen in October 2011. 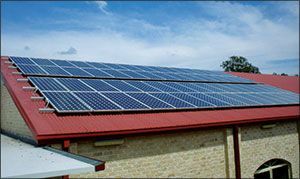 The Whitford Catholic communities wanted to install a 5KW system with 28 panels ,each panel producing 190 W.The installation was completed in June 2011 by Regen team. St John & St Paul Catholic Church, Willetton, WA.